What Will Varty Camp Be Like? The campfire has burned at Varty Camp for over 90 years, making this place the symbolic heart of Londolozi. This original camp is a tapestry of brick paths, dolerite rock walls, waterfalls and tangled vines echoing simple spaces with unencumbered river view backdrops. The tones of the camp reflect the owners’ 90-year love affair with this land and therefore place an emphasis on family and heritage. Children over the age of six are welcome at Varty Camp. 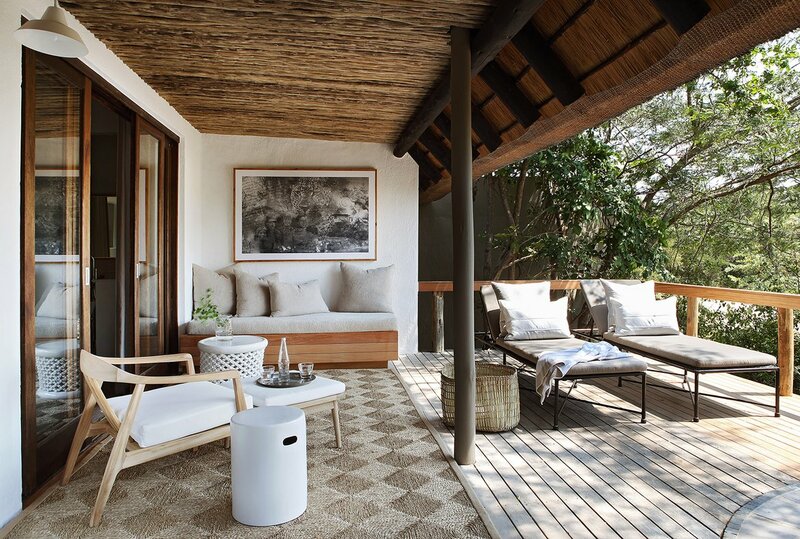 Each room has its own private swimming pool, outdoor shower and outdoor dining sala framed by timber decks raised off the ground under the shade of an ancient riverine forest. Many Londolozi guest activities can be found within the surrounds of Varty camp. These include the guest gym, photographic studio and Living Boutique. Guests from all camps are invited to make use of these facilities as well as the Yoga Deck situated next to Founders Camp. 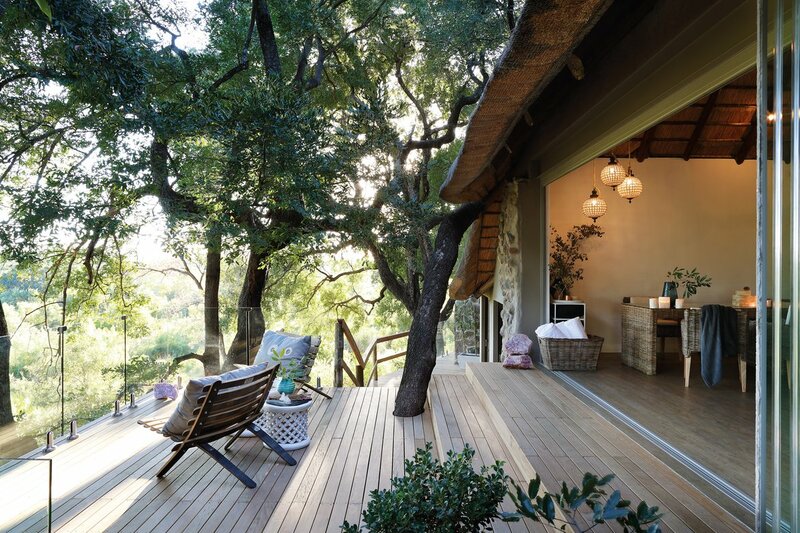 Also found within Varty Camp is the newly appointed Healing House – a concept that takes you beyond the spa, with a beautiful return of wellness to wildness. Bodywork (massage) and specialised alternative wellness treatment facilities are available. The charming “original Sparta Camp” is also located in the heart of Varty Camp representing where Londolozi began in 1926. Deciding what to pack on your African safari can be a daunting exercise if you are a first time safari goer. In order for your safari experience to be as enjoyable as possible, we have put together a small list of essentials to assist you with what to pack for your African safari. What Clothing Should I Pack on Safari? What Photographic Equipment do I pack? Photography is a passion at Londolozi and we do our utmost to ensure that our guests capture exceptional images whilst on safari with us. When on safari, you are obviously trying to capture the perfect pictures to take home with you. We suggest bringing a camera, lens and binoculars for your safari. We understand that this equipment can often be a bit cumbersome so if you would prefer to rent it during your stay at Londolozi then CLICK HERE to prebook your camera gear. Professional camera equipment is available for hire, as well as exclusive Sensory and Photographic safari experiences. If you are bringing any electronic equipment or camera gear, don’t forget batteries and a battery charger. We will supply a range of plug points and international adapters. Please note that flights into Londolozi have a luggage limit of one bag weighing 20kgs (44 lbs) per person, in a soft sided bag if possible. Wheeled bags are acceptable-the preferable style is a rolling duffle. Your luggage plus any carry on (ie. a backpack) must come in under this weight limit. What Travel Documentation Do I Need? In all likelihood your professional travel agent has secured all of this information for you. If you are not working with a travel agent then a member of the Londolozi team would have already assisted you to this point, however should you need to contact someone please email reservations@londolozi.co.za. In order to prevent any future disappointments regarding your booking we highly recommend you take travel insurance covering for personal effects, personal accident, medical and emergency travel expenses, as well as cancellation and curtailment – as your reservation will be subject to cancellation penalties. Your Visa requirements should be checked before departure. All visitors to South Africa are required by law to have a minimum of two blank pages in their passport to enable the entry visa to be issued. If there is insufficient space in the passport, entry will be denied. What Will A Day on Safari Be Like? No two days are the same at Londolozi and the experience is tailored to suit individual preferences and expectations. There is a certain rhythm and pace to the experience that stirs a sense of homecoming on repeat visits and a pleasing sense of order for first time bushveld visitors. Life at Londolozi is dictated by the seasons; the vegetation and the animal behaviour shift with the rains of summer and the chill of winter. What is unchanging is the warmth of your welcome by your Londolozi Family and the opportunity to experience a deep and authentic connection with the natural world. Getting into step with the rhythm of nature is the first order of business. Witnessing the start of the day in the African bush is like being invited to partake in a daily miracle. A dawn chorus of birdsong and the haunting calls of fish eagles, the air rich with the night flowers’ perfume and delightfully cool. Game drives at Londolozi are taken by professional, passionate and knowledgeable rangers and trackers, who have 350 years of experience between them. 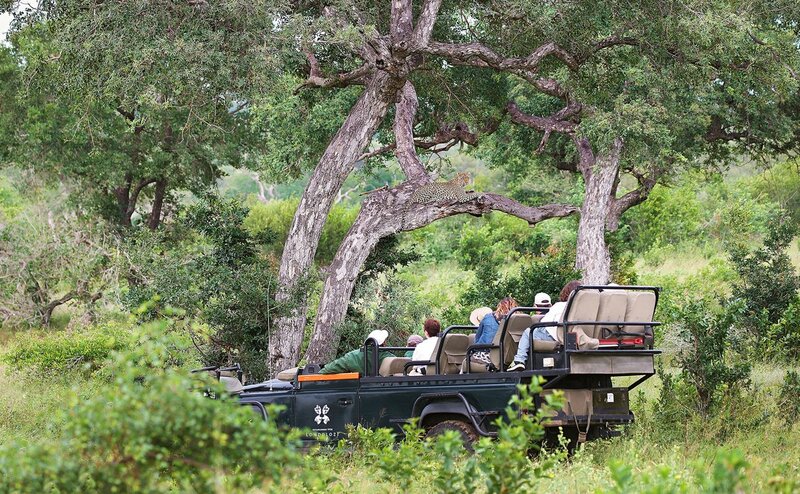 With over 16,000 hectares of traversing wilderness, no two game drives are ever the same. Trackers sit up at the front of the Land Rover looking for fresh animal tracks, while rangers drive with astonishing skill into ravines and through thicket in pursuit of rare animal sightings, simultaneously wowing guests with their outstanding knowledge and unforgettable stories. The historical safari dates back to the age when reserves were hunting concessions and value was placed on an animal according to its potential danger when hunted on foot. In today’s safari practice, rifles have been replaced with cameras, and the only shooting we do is to photograph the majesty of animals, birds and trees. Londolozi’s rangers specialise in photographic safaris and, where possible, will position the vehicle for guests to get the best angle for photography. They will also share advice and knowledge where they can so you can capture the moment in all its glory. Many of Londolozi’s rangers and trackers grew up in this region, living close to the land. This gives them an unmatched knowledge of the terrain, flora and wildlife on the reserve. Londolozi boasts two Lead Trackers, meaning our game drive experience is truly world class. Our field guides primary mission is to showcase the wilderness and bring you in tune with nature’s harmony. * Activities to ask about: The Londolozi Photographic Studio, The Londolozi Living Boutique, The Healing House, The Londolozi Village Walk. What Can I Do Between Game Drives? Inclusive: Daily Yoga class, access to the Londolozi Gym, and The Londolozi Village Walk. 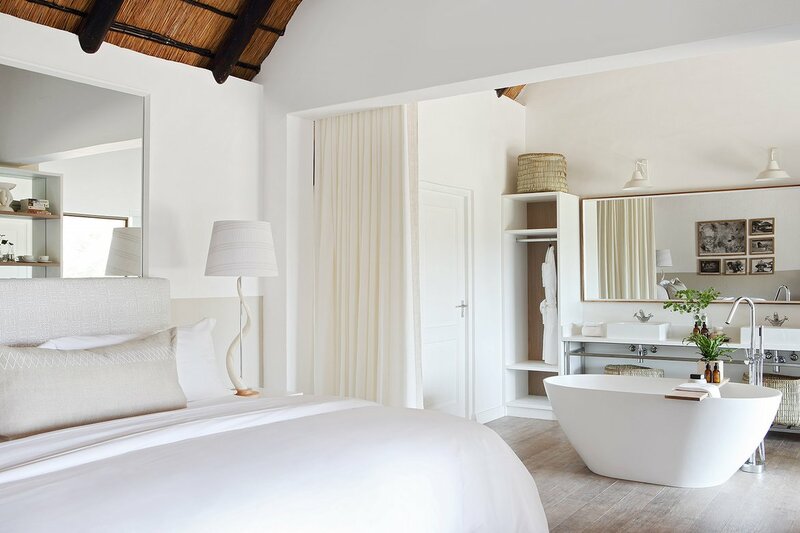 Exclusive: Treatments at Londolozi’s Healing House, shopping at the Londolozi Living Boutique; Photographic Studio sessions, camera equipment rental - pre-booking recommended for all. At Londolozi, we believe in honouring ancient ways, harmony in flow and the rhythms of nature. After four decades of delivering a photographic safari immersion to discerning international safari travellers, we believe that the time is now to create a new space which allows the Londolozi wilderness to become our enduring source of wellness. Our hope is that at the Londolozi Healing House, situated at Varty Camp, you will rediscover what it means to be human, and attuned to the natural world. The Londolozi Healing House is a place of remembering, a shift from the world of doing into the world of being, a chance to re-discover your own nature and access a deep and natural intelligence which lies within the still core of your own wild self. The Londolozi Healing House experience will help you to combine the core safari excursions with artful resting, curated bodywork and yoga in the surrounds of the expansive wilderness presence of Londolozi. We have crafted some special activities for true rejuvenation, restoration and transformation. Working with our trained Wellness Practitioners, Therapists and Wilderness Guides, we invite you to commune with the African wilderness and to find within you a sense of wellbeing. In the hurried world of today, true luxury is time to oneself in search of self-healing and connection to nature. The Londolozi Healing House is a place where time will allow for intangible magic, stillness and contemplation to stir deep within you. Daily inclusive yoga classes are offered and postures practiced at Londolozi include Iyengar, Ashtanga, Jivamukti and Tripsichore. 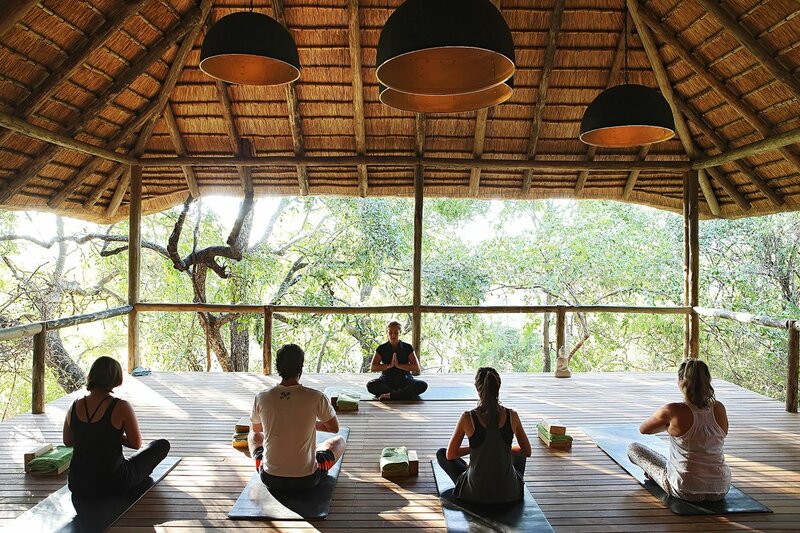 The classes are suitable for beginner and intermediate levels and are conducted on the Londolozi Yoga Deck, a wonderful sanctuary suspended high in the arms of a 500-year-old ebony tree. 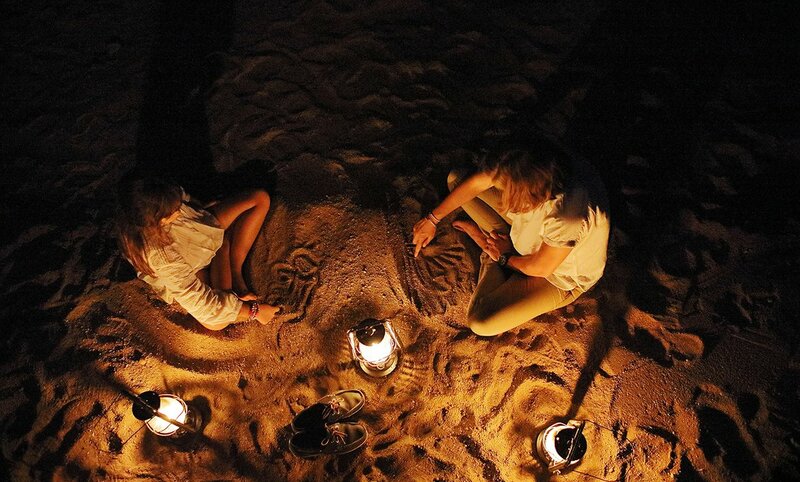 Join us to greet the sun or strengthen the vital life of the body alongside the cool rush of the Sand River. 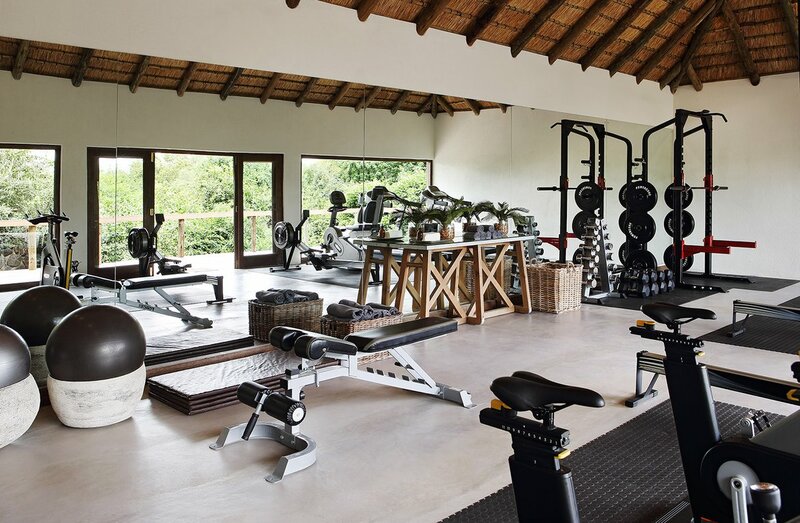 Londolozi’s fully equipped gym offers running, cycling and rowing machines which allow for a perfect workout, complemented by a daily routine of eating well and relaxing into harmony with nature. The gym is situated in Varty Camp and is open to all guests. The Shangaan people of this area have long believed in the spiritual powers of a local tree known as the Buffalo Thorn (Ziziphus mucronata). One such belief is that a branch has the power to transport the spirit of a person from one place to another – usually back to his home. 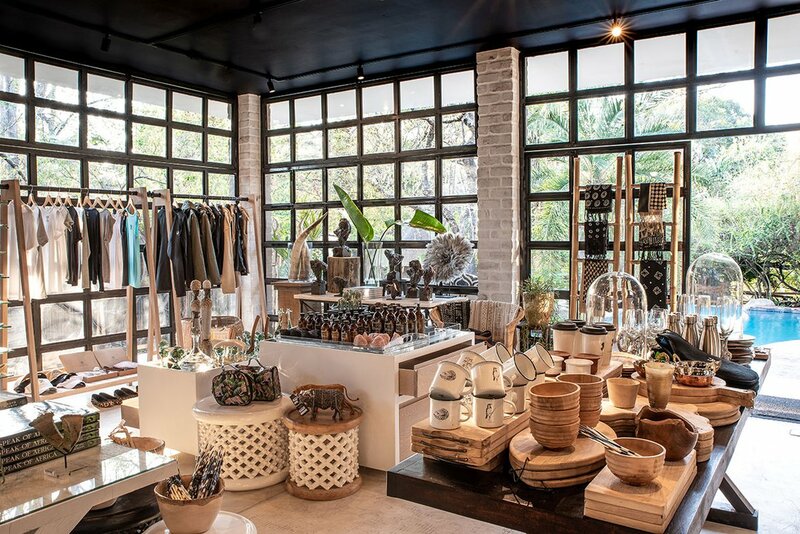 It is this idea which lies at the heart of the Londolozi Living Boutique, where every artefact and detail carries the essence of this place and is a reflection of what Londolozi holds most dear. Many of our signature pieces have been personally selected - from the African Numji Dolls and artefacts found around the camps, to our Kids “Ranger Backpack” and other branded attire. Each artefact is, in itself, a story. There is also a carefully selected collection of art and wildlife reference books, personal biographies written by various members of the Varty family and wildlife bronze sculptures. All of these bespoke, hand-picked items can be wrapped and or shipped to your home address, should you request this. Londolozi is the home of the photographic safari and has long been recognised as a superb location for wildlife photography, specialising in the big cats. Incredible light, diverse scenery and a plethora of African wildlife set the stage for unsurpassed photographic theatre. There are many ways to take advantage of this incredible location. For the photographic veteran, or anyone who is looking for privacy while on game drive, wanting a vehicle entirely to themselves. A private safari vehicle can be reserved at time of booking, at an additional charge, and must be taken for the duration of your stay. This option is perfect for individuals and families. A dedicated ranger and tracker team will focus on tailoring the safari experience around the guest’s specific needs and interests (e.g. birding, botany, big cats, photography etc.). This is ideal for experienced safari-goers or those who enjoy a little more privacy. Perfect for beginner and enthusiast photographers who are wanting to make photography the main focus of their safari. For this safari option, we will pair you with a photographic tutor who will assist you both in the field and in post-processing and editing. Londolozi is known across the world as a destination which offers remarkable photographic wildlife opportunities and is the perfect place to learn and craft this incredible art form. Full access to the Londolozi Photography Studio for post-processing and editing. The Photographic Studio offers guests the chance to rent a multitude of professional level photographic bodies, lenses and accessories. Gone are the days of lugging heavy camera gear around the world. Now it’s as simple as pre-booking your gear and finding it ready for use upon your arrival at the lodge. First-time photographers can also try out the latest telephoto lens and body setups by requesting the equipment at the lodge. If you want to capture a close-up of a leopard in a tree, a fish eagle in flight or zebras grooming each other, the photographic studio has the right lens to get you the perfect shot. The Photographic Studio- on location at Londolozi- is very popular with Londolozi guests, who are able to direct and produce their own creative work. With tuition from a qualified Lightroom instructor, you can spend time between game drives editing and printing your best safari shots on wide-format canvas or high quality photo paper, along with the final edited shots on a memory stick. Pre-booking is recommended for all photographic safari options. The Londolozi Village forms part of the heart and soul of the organisation. It is from here that the Londolozi energy, spirit and feeling emanates and we invite you to join the daily village walk. 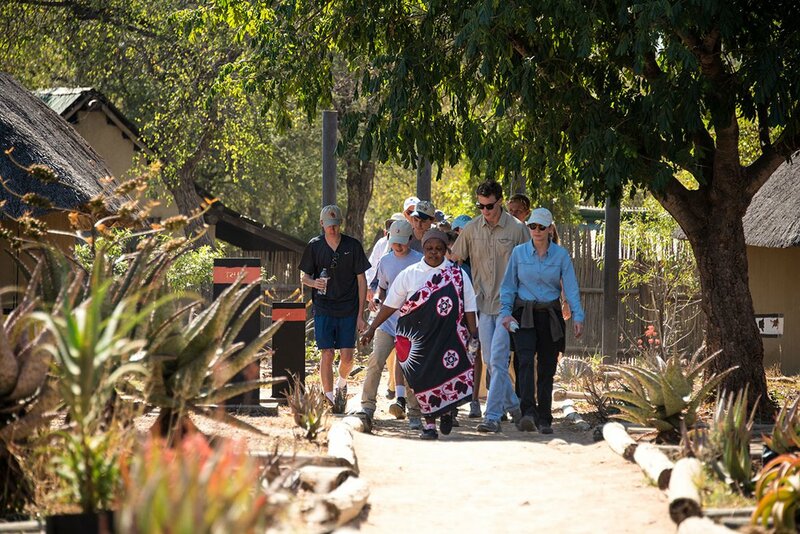 During this walk you witness first-hand a prototype Londolozi Learning Centre, the Londolozi Clinic, the Londolozi Crèche, the Londolozi Craft Centre, Vegetable Gardens, nursery and a representative historic Shangaan Village. For those interested in the technical aspects of our Vision 2020 Project, you are welcome to visit our waste water recycling plant. The Village Walk, on occasion concludes with a half hour story-telling event on various related subjects. Details of these talks are made known to Guests on a daily basis by your Camp Manager. The weather a variable which nobody can control, however the seasons do tend to follow a fairly reliable pattern. The first thing to remember is that regardless of the seasons, layers of different items of clothing are the real trick to being comfortable on safari. March through May is temperate as the season changes from summer to the start of winter and the days are mild and warm with the nights becoming cooler. Temperatures drop mildly as the sun goes down so we advise a light fleece or long sleeve shirt, particularly for the evenings. At this time of the year you will still be comfortable in shorts or a dress, however long pants are preferred for the evenings. June and July are mid-winter in South Africa and can be some of the best months for game viewing. During this time the days are warm and balmy, while the evenings and early mornings are cold. In winter the temperature does drop especially as the sun goes down so we suggest bringing a warm jacket, beanie and scarf for the morning game drives. In the middle of the day the temperature remains pleasant enough for short sleeved shirts, however as the sun starts to go down so does the temperature. For the months August through November the weather is temperate and signals the change of season from autumn into summer. There is the occasional gust of wind during these months and so items such as eyedrops are worthwhile to combat fine particles of dust in the eyes. With the months December through March being the height of our summer these are, therefore, the hottest months. The days can get to upwards of 35 degrees celsius and in the late afternoons, their is the chance of an impressive African thunderstorm owing to the build up of heat and precipitation. Short sleeve shirts, vests and shorts are the order of the day, however it is critical to bring along sunscreen and a widebrimmed hat to protect yourself from the African sunshine. Ponchos are provided on the vehicle for wet weather, however a light raincoat or jacket is advised should the temperature drop off after the rain. A Londolozi safari is about engaging all the senses and participating in the journey, so that you come away charged, enlightened and ready for the next adventure. We look forward to guiding you on your safari. Wilderness areas are fast becoming one of the rare places on the planet where one can escape technology and constant communication. That said, there is full wifi access in each room should you wish to connect to the internet during your stay. While there is Wi-Fi available in your room, cell phone reception at Londolozi is unreliable. Be sure to check with your cell phone provider to see if your phone will work internationally and what kind of plan you might need. You’ll need power adaptors for your electronic devices. Be sure to get ones specifically designed for South Africa. Londolozi usually provides one per room, but you’ll probably want at least one more. Here’s more information on the types of plugs you’ll encounter in South Africa. South Africa: Electric plug C.
Popularly known as the Europlug, the Type C electrical plug is a two-pin unearthed plug used throughout continental Europe, parts o the Middle East, much of Africa, South America, central Asia, and the former Soviet republics. The type C plug is technically known as the CEE 7/16 (Europlug 2.5 A/250 V unearthed). Dietary requirements are important for us to know ahead of time therefore please do let us know if there is something you are allergic to or absolutely cannot eat. Please write to us on reservations@londolozi.co.za. While we are in a low risk malaria area, please consult a travel doctor and do what feels right for you. If you are traveling to other areas in Africa, you’ll need to consult a travel doctor for the recommendations for those areas. Remember to inform your doctor of exactly where you are going so the most effective treatment for you can be prescribed. The Londolozi Camp Manager can help you with gratuities as you check out at the end of your stay. Gratuities are purely at your discretion and there is a recommended way in which you can allocate it for specific individuals as well as for the camp staff. You do not need to bring large amounts of cash overseas with you. 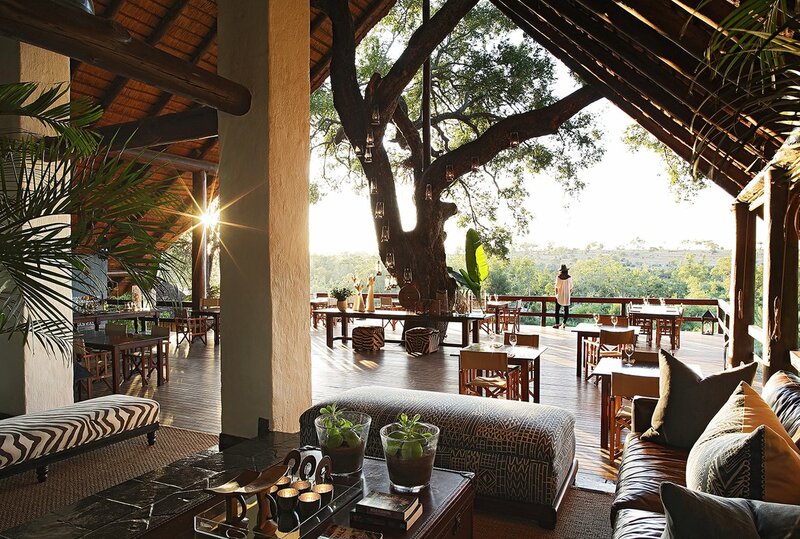 You can use your credit card for all purchases and extras at Londolozi. I'm Traveling With Children, What Can I Expect? 'We’ve discussed and debated a children’s program at length at Londolozi. Some people like things set in stone and have demanded from time to time the ‘Program’. Generally at this point we give them a list of activities that children can participate in and while some grudgingly accept this list, others actually still demand ‘the program’. Technically speaking we don’t have a Londolozi Children’s Program. We have a Londolozi Children’s Philosophy and there is a whale of a difference between the two! A children’s program is often set out with the intention of keeping little ones busy while the parents relax. It has a fairly rigid timetable and is usually unchanged season to season, year to year. A Children’s Philosophy embraces the fact that each child is unique and he or she has a different departure point to fun. Our philosophy therefore promises that while the parents relax we’ll find that departure point for your children and maximize their pleasure in this excit- ing environment. This philosophy comes as you can see from Londolozi’s 90 year history as described above.’ | Tom Imrie, father of two and former Londolozi Ranger. First the safari game drive is crucially important. We’ve never made the mistake of aiming a safari at the adults while the children in the vehicle loll their heads in boredom. If a family come to Londolozi we believe that it is essential to aim the game drive expe- rience at the children. That means that the eight hours a day spent in the vehicle looking for animals becomes a wonderful learning experience for little ones and a place where the family can interact together. Family land rovers* can stop often for kids to jump out and utilize their senses. Touching, feeling, smelling, throwing - it all comes into the mix and we recognize that a four hour game drive can be a long time for a child to sit still. We believe it is essential to get the little ones off the vehicle as often as possible, even if it’s just to identify tracks. Between drives and after hearty meals, the activities for kids are as varied as their individual personalities. *Please be sure to book a private land rover. Baking - muffins, pancakes, flapjacks, all those tasty things! Added to this we have a ‘Cubs Den’ where little ones, if they’ve opted out of a midday swim can run around in a safe environment. 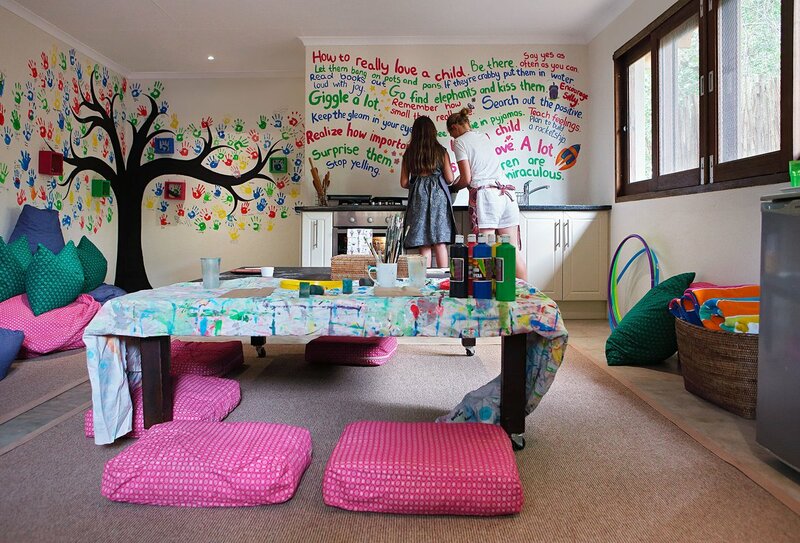 Here there’s a creative station to explore and tons of arts and crafts to get involved with. After the evening drive there are pizzas to design, to a child’s artistic whim, and marshmallows or s’mores to be toasted on an open fire. If the stars are out then the kids can play with the telescope or even get a simplified, mind-expanding star lecture to enjoy whilst Mom and Dad finish their glass of red. Obviously all of these activities need to be conducted in a safe and fun manner and so we have recruited a large and enthusiastic team of guides. The local industry expression for this is being ‘over the top’ in terms of guides required to conduct core business. At Londolozi we feel that three extra guides is just right to cope with the energy of creating fun filled children’s safaris. We also have a full time facilitator to oversee all activities and conduct the in-camp activities. Recognizing that different guides also excel at different elements of a successful safari, embedded within the team are children specialists, those guides who love to get in the rough and tumble with kids and see the world through their eyes. A child who arrives at Londolozi is always assessed by the ranger and facilitator and the plan is drawn up from there. It’s flexible and energetic and done only once the child has been met. That way we ensure that we’ll never bottle a child into a mundane activity that doesn’t appeal to him or her. Do we have a cast iron Children’s Program? No - better than that, we have a Londolozi Children’s Philosophy that will search your child’s departure point to tremendous fun and an unforgettable life experience. *Varty and Founders camp both accommodate children between the ages of 6 and 16 years old. 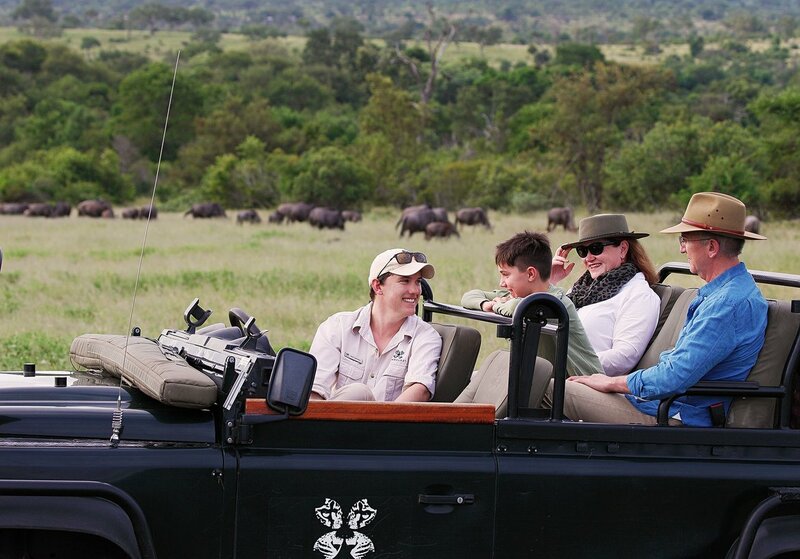 Children of 6 years and over are welcome on game drives. What Community Projects Can I Get Involved In? As part of its mission to be a force for good, Londolozi has been the founder/funder of the Good Work Foundation establishing training and capacity building campuses and learning centres forming the Mpumalanga cluster in eastern rural South Africa. This project has been undertaken in partnership with the government’s formal education structures and is proving to be an extraordinarily successful learning model expanding exponentially each year bringing access to world class education for a growing number of learners in the rural landscapes of South Africa. Indeed by 2020, together with its partners in Sabi Sand and elsewhere, Londolozi will have been the founder moving spirit in bringing to, upward of 26 500 students living in the neighbouring villages of the reserve, possibilities for advanced digital learning. Londolozi continues, through its visiting guests and other influences, to be a catalyst for change in education, with the objective of preparing students for the needs of a third industrial revolution when the skills requirement of the individual will be vastly different to the needs of today. The vision of Good Work Foundation is to lead a sustainable model of learning that can be introduced to rural African communities. The model will focus on delivering digital-era literacy education and career training via community-driven digital learning centres of excellence. The centres need to be digitally-powered and online , allowing rural communities access to world-class education and cutting-edge technology. 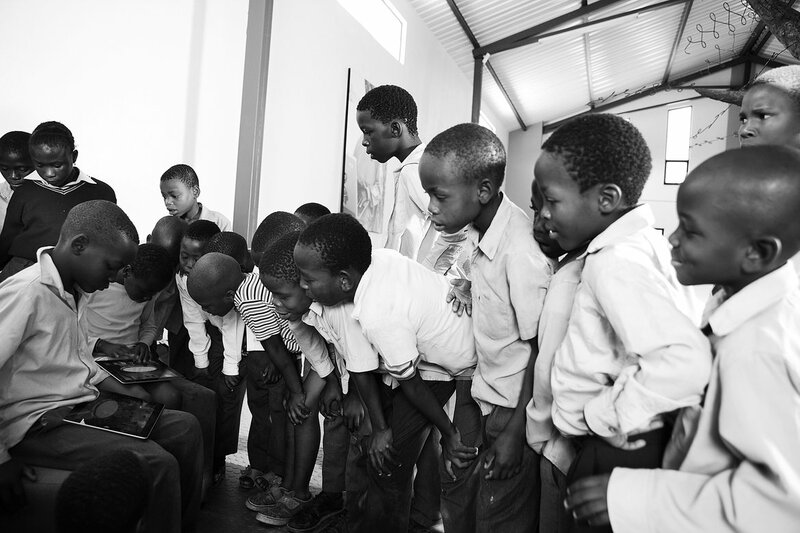 We want to see rural African learners immersed in high impact learning experiences that are presented as they would be in the world’s most technologically advanced classrooms. To identify latent talent in the learners in our communities by providing workshops, career guidance and extra classes, and to then grant bursaries for them to study further. To work alongside existing educational institutions and assist in providing extra classes, workshops and learning interventions. To extend our literacy training (English, Computer, Environmental and Financial to adults in our area). To assist with educational infrastructure where the need arises. How Do I Get To Londolozi? Londolozi is situated in the Sabi Sand Game Reserve, bordering the Kruger National Park in Mpumalanga, South Africa. There are many ways to get to Londolozi, click here for details and maps. We invite you to become part of our global online tribe by Registering for a Londolozi Live membership and joining our storytelling community. We would also like to encourage you to download the Londolozi app and sign up for our newsletter to make sure you’ve got the inside scoop on all things Londolozi before you arrive. What Information Do I Need To Tell You About Myself? The more we know about you, the better we can prepare for your visit. If we know how old you are, what your interests are, what your specific dietary requirements are and if you want to sleep in a king sized bed rather than a twin bed, it helps us understand your preferences before you arrive. This allows us to tailor-make a luxury safari for you ahead of time, so that – regardless of your expectations- we are able to do everything we can to meet them. 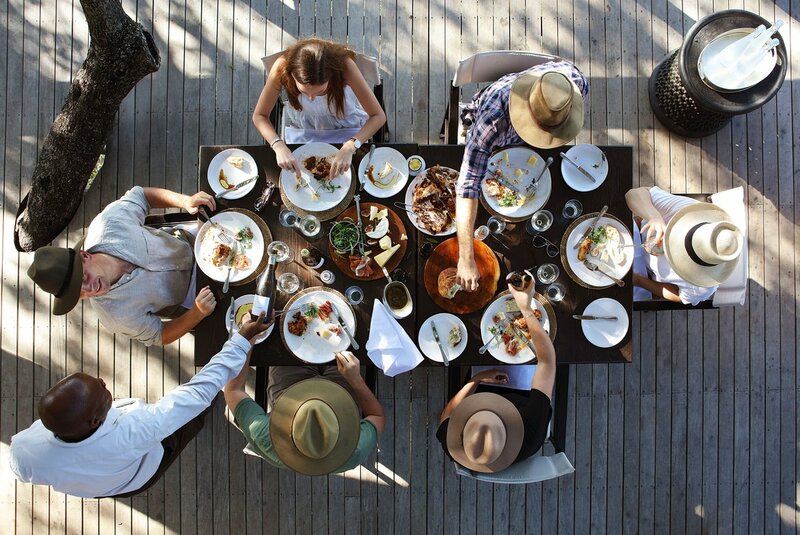 The easiest way to do this is to send us an email on reservations@londolozi.co.za letting us know your preferences. Whether you book through us or you book through a travel agent, the more we know about you the more we can customise your stay.